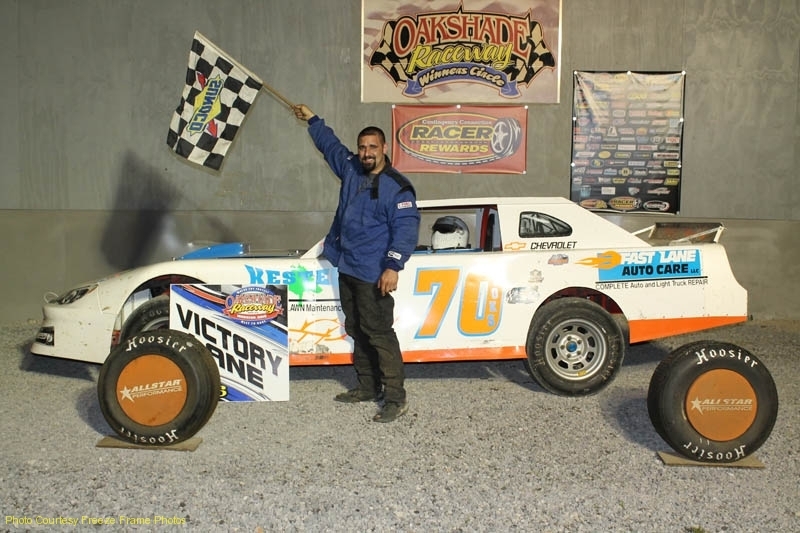 Oakshade Raceway played host to some incredible racing action Memorial Day weekend with Casey Noonan edging out Rusty Schlenk in an epic battle to the finish of the American Late Model Series (ALMS) presented by Sunoco feature event. 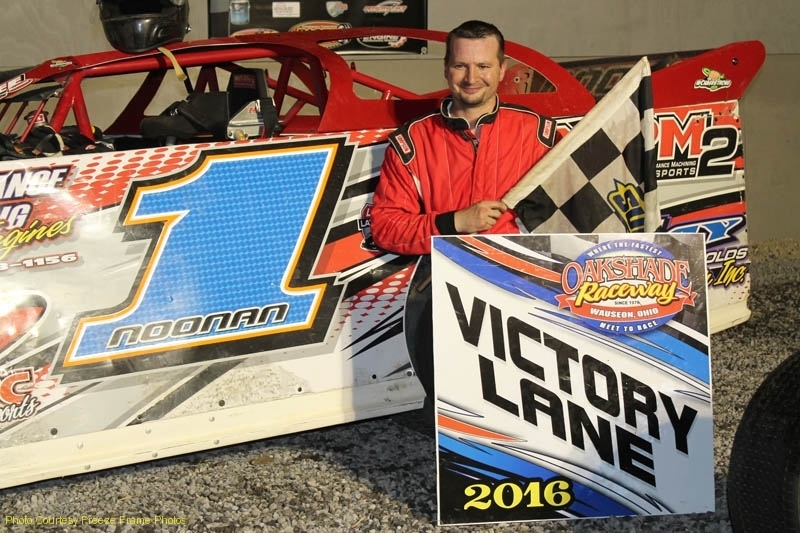 Sylvania, Ohio’s Casey Noonan started on the outside of the front row and got the lead at the start of the 30-lap, $2,000 to win, ALMS feature event over defending track champion Brian Ruhlman. A caution on lap 10 tightened up the field for a double-file restart in which Noonan chose to take the inside, putting Schlenk to his outside. Schlenk, the ALMS point leader, took advantage and darted out to the lead on the restart. A spin on lap 14 brought out the yellow flag again and Schlenk chose the inside position for the restart with Noonan flanking him on the outside. Noonan capitalized and took the lead back on the restart. Another caution slowed the field on lap 25 after Brad Wade smacked the backstretch wall. Just as the field was lined up for a single-file restart, the skies opened up just a bit and the track became too slick to resume racing. After about 10 minutes of the cars circulating around the oval, track conditions improved and the field lined up behind Noonan to go back to green for the final five laps. Schlenk restarted second and within a couple laps, was able to pull alongside Noonan to race for the lead. 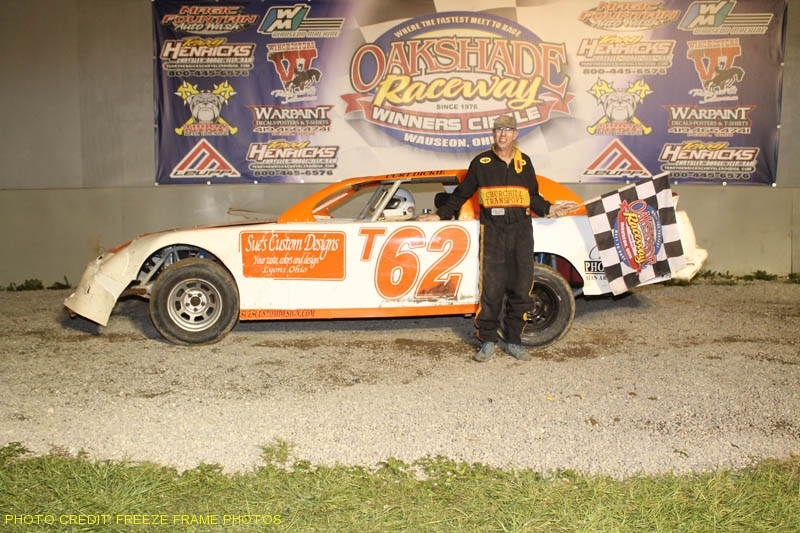 The two drivers raced side by side the final three laps with Noonan getting a great run coming off the final corner to pull ahead just a bit to earn his second Oakshade feature win of the year. 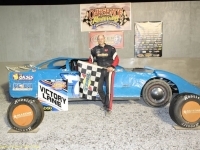 Schlenk maintained his ALMS point lead after settling for a close second place finish. Ruhlman was third with Mike Bores and Jon Henry rounding out the rest of the top five finishers. With the feature win, Noonan takes over the early season track point lead by four points over Ruhlman. 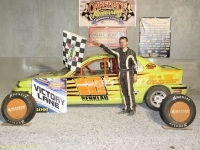 Great racing action continued in the UMP Sportsman feature with sparks flying at the finish. 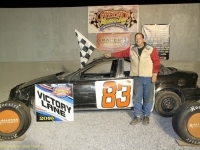 Jamie Grochowski led the first five laps until crashing into an embankment around a light pole in the infield which took him out of contention, although he would later return to the race several laps down. Bob Gregory inherited the race lead with Rusty Smith pressuring from the second position. Rich Ruff charged his way to the front late in the race after getting by both Smith and Gregory. A late caution set up a three-lap race to the finish. Sylvania, Ohio’s Rusy Smith got to the inside of Ruff and the two drivers raced side by side all the way to the checkered flag. Ruff came off the final corner a bit high and scraped the frontstretch wall sending a shower of sparks flying as he tried to fend off Smith. Smith carried a good run on the inside off turn four to beat Ruff to the checkered flag in an extremely close and exciting finish. Mike Jessen finished third with Tim Fisher gaining five positions to finish fourth. Gregory slipped back to finish fifth. 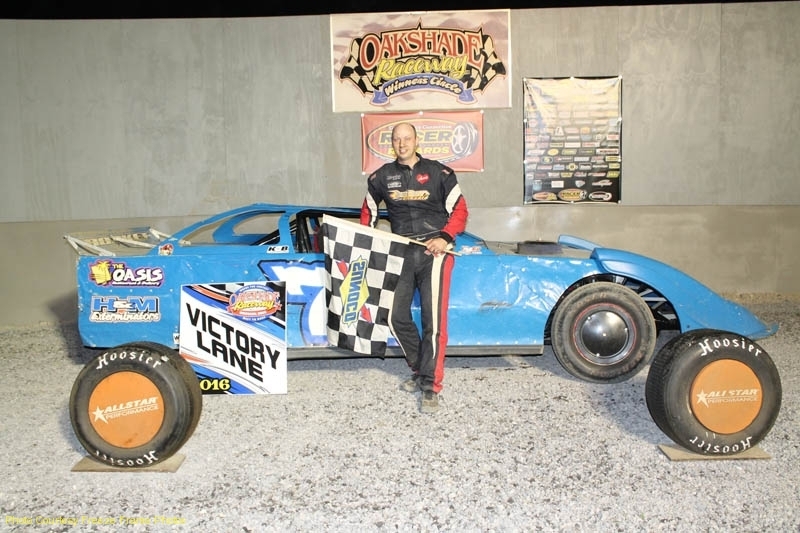 Gregg DeTray appeared to be on his way to his first Bomber A Main feature win of the year, but the bad luck bug would bite him once again. DeTray started inside the second row and took the lead shortly after the drop of the green flag. He proceeded to open up a big lead and was working through slower traffic when Dylan Hough spun on lap 11 just in front of him. DeTray had nowhere to go and ripped the front off Hough’s car with the right side of his. DeTray continued on as the yellow flag came out. Another caution came out on a lap later after a Dean Taylor crash. DeTray led Jeff Foks Jr. as they came back to the green flag for the final three laps. 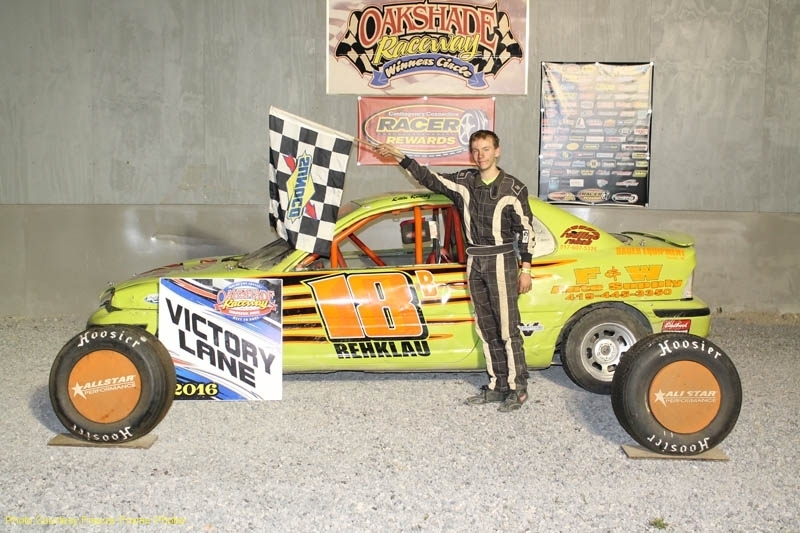 Foks, from Holland, Ohio, took the lead away on the restart and pulled away to win his second A Main of the year. Tim Hancock and Chris Sands also got by DeTray to finish second and third respectively after DeTray faded back to end up fourth. Teri-Lynn Murphy was fifth. 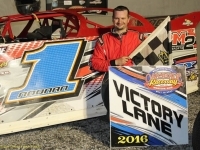 Brogan Rehklau led from flag to flag in the Sport Compact feature event, ending Richard Riffe’s consecutive win streak at two. The Waldron, Michigan driver started on the outside of the second row and had the lead by the end of the first lap. Riffe quickly worked up to second, but was unable to mount a successful challenge on Rehklau. 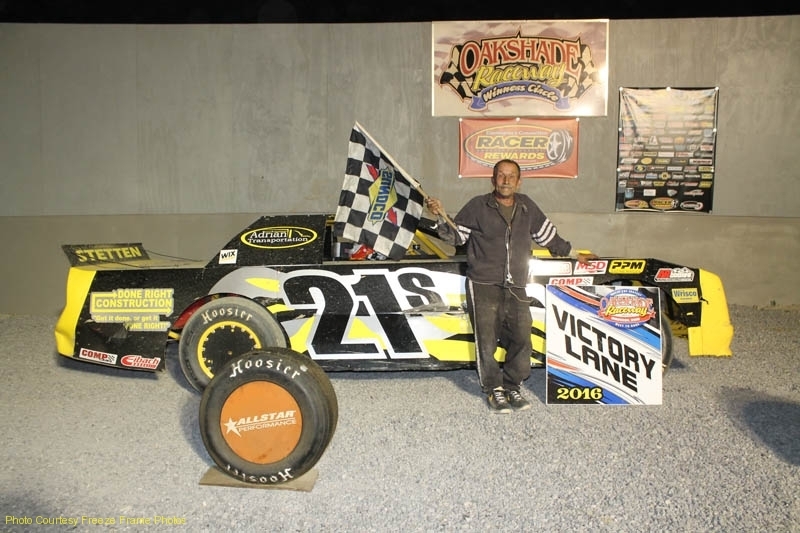 It was the first win of the season for the defending track champion. Riffe settled for second with pole-sitter Cory Gumm finishing third. Matt Brazeau started very deep in the field and took a fourth place finish with Jeff Foks Sr. ending up fifth. A hard crash at the start of the Bomber B Main took out last week’s B Main winner, Dylan Burt, as well as Ryder Price and Duane Fletcher. Once things got going, Jerry Signor jumped out to the race lead. Adrian, Michigan’s Roscoe Stetten took command on lap five after starting toward the back of the field. Terry Rump closed in late, but Stetten held on to pick up the victory. Following Rump in second was Jarrett Rendel in third and Brandon Clark in fourth. Nick fenner finished fifth. 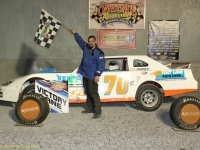 Jeff Goodman from Wauseon, Ohio, led the entire distance of Sport Compact B Main which was the final race of the night. Goodman wasted little time and quickly took the lead before pulling away to pick up the checkered flag over Chris Leonard. 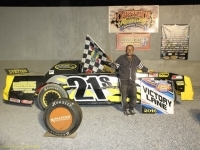 Chane Stuckey II started on the pole and slipped back two spots to finish third. Jennifer Rendel was fourth and Kenny Wats rounded out the top five finishers. 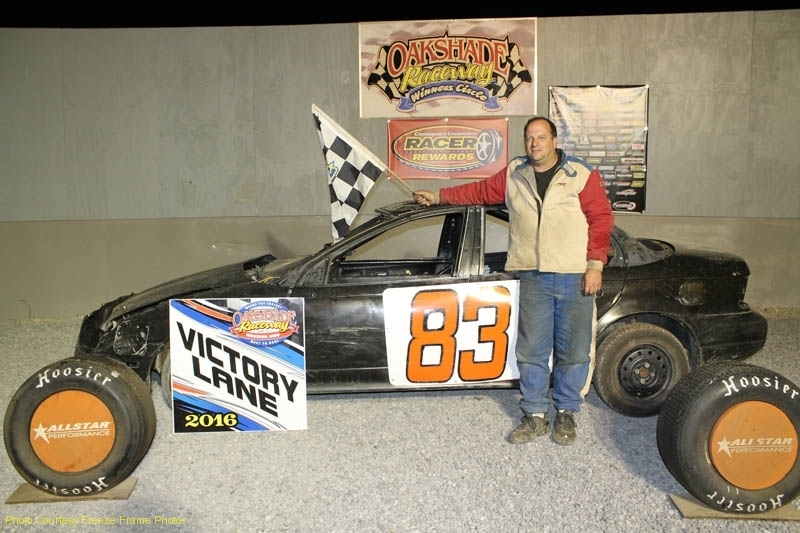 The “Night of Wheels” returns to Oakshade Raceway on Saturday, June 4 with a full racing program of UMP Late Models, UMP Sportsman, Bombers and Compacts in addiction to a large number of bikes that will be given away at intermission to a bunch of happy kids. Gates open at 4pm with racing at 7pm.